When it comes to guns, there are so many misconceptions out there, many of which are harmful. Although the overwhelming majority of these mistakes stem from one particular political party’s affiliates and could easily be rectified by looking at the facts, there are some which even the most experienced shooters can make. I’m referring to the famed suppressor, often called a silencer. That being said, I wanted to take the time to compose a brief rundown on suppressors and present our picks for the top five on the market. 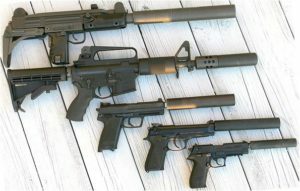 According to the Bureau of Alcohol, Tobacco, Firearms, & Explosives (BATFE), suppressors are “any device for silencing, muffling, or diminishing the report of a portable firearm, including any combination of parts, designed or redesigned, and intended for use in assembling or fabricating a firearm silencer or firearm muffler, and any part intended only for use in such assembly or fabrication.” Basically, a suppressor minimizes the sound emitted from a firearm (although there are a few other things I wish I could silence). While suppressors may seem like a modern commodity, they can actually be traced back all the way to 1908! It was then that Hiram Percy Maxim – The son of Maxim Machine Gun inventor Hiram Stevens Maxim – received a patent to produce the first commercial suppressor. Like a car muffler, firearm suppressors work by providing a controlled environment for the discharged gases to abate, thus producing less force and sound. Suppressors function by utilizing several baffles, or separate chambers, which restrain the flow of gas. Each of these baffles has an opening to allow the bullet to pass before it ultimately leaves, albeit considerably quieter. It is extremely important to note that suppressors do NOT make a gun silent (that is impossible). Rather, they merely “repress” the noise made by the weapon’s muzzle blast, while not affecting any of the other sounds. By trapping these gases, depressurizing them, and slowly releasing them, suppressors can be a highly-effective method of improving the shooter’s experience. But why would anybody want or even need to use a suppressor, aren’t they just for hitmen? Well, thanks to government regulation, Hollywood, and the left-wing Media, most shooters have little to no experience with suppressors. In reality, few accessories are as useful and valuable as these. First and foremost, suppressors are a highly-effective method of hearing protection. Nevertheless, remember that it does not silence the firearm, but it definitely does help. Keep in mind that different calibers produce different levels of noise. On the other hand, suppressors are also very effective at boosting the shooter’s control of the firearm. By depressurizing the gun’s gases, they significantly reduce muzzle flip and perceived recoil, enabling faster, more accurate follow-up shots. Lastly, in addition to being safer and easier, suppressors are also a great hunting tool. Any hunter knows that being able to hear their surroundings is one of the most important components of a hunt. As a result, many hunters don’t hunt with any hearing protection, leaving them susceptible to hearing damage. That being said, the use of a suppressor while hunting is an effective way to protect the shooter and even the animal. Yes, even the animal. Because suppressors significantly increase the shooter’s handling, they naturally produce significantly more accurate shots. In turn, this means a quicker, more humane end to the animal’s life. Nevertheless, hunting with suppressors is not legal in all 50 states; as of now, nearly 40 states do allow this safer method of hunting. 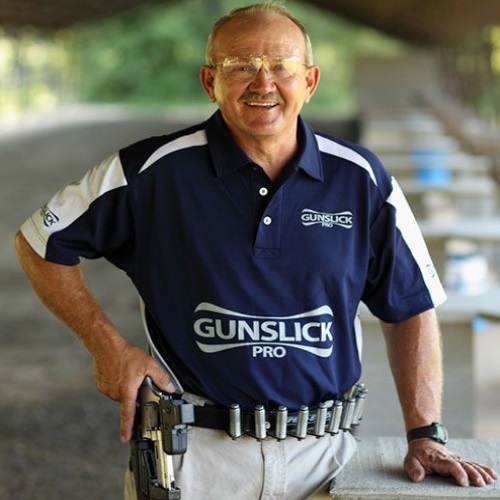 While you’re here, check out our 15 Universal Gun Safety Rules and some of our favorite safety tools from companies like Zore, Peltor, & Howard Leight. How to Buy a Suppressor? Well, know that you more about suppressors, you’re probably going to want to buy one. Contrary to popular belief, suppressors are actually legal to own under federal law and have always been so. However, there are 11 states which have made civilian ownership illegal (3 of whom allow Class 2 manufacturers and Class 3 dealers to possess). 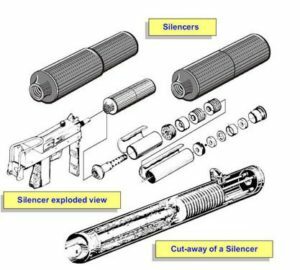 Much of the problem of purchasing a silencer comes from the notorious National Firearms Act of 1934 (NFA). While this law, the first step in American gun control policy, restricted suppressors, they were still available to eligible citizens. To obtain a suppressor under NFA law, you must be at least 21 years old, reside in one of the states where they are legal, be legally allowed to buy a gun, and be a legal resident of the U.S. So far nothing too crazy. The next step is to find a nearby Class 3 dealer who sells suppressors. Before getting your accessory, you must first fill out BATFE’s Form 4 (includes a passport photo). To complete the Form 4, you must have a Chief Law-Enforcement Officer sign off that you’re not wanted for any crimes. Then he will take your fingerprints, sign them, and send the file off to the Dept. of the Treasury. In addition to filling out this form, you will also need to pay what’s called the $200.00 “transfer tax” to the Treasury Department. Now you wait. It usually takes around 6 weeks to get the form returned, enabling you to finally receive your suppressor. *note that it is illegal to possess a suppressor without the approved documents on-hand. Now that we’ve covered the basics, it’s time to get into the juicy details. There are plenty of factors to consider when looking for a new suppressor, so we’ve done our homework and compiled our top five favorite models on the market. One of the most beloved suppressor manufacturers is SilencerCo, who have been producing top-shelf silencers for around ten years. Although still in their early stages of development, the American business has quickly become one of the most popular in the industry. Because the budding company has dedicated themselves to innovation and excellence, you can rest assured that each of their products will not disappoint. In reality, we’re huge fans of the SilencerCo Osprey handgun suppressor, which is sold in 9mm, .40 S&W, and .45 ACP. For a modest $750, these remarkable suppressors offer superior performance in all facets. For example, by ditching the conventional tube design, the Osprey opted for a layout that looks more like a handgun slide. The advantage of adopting this tactic is that by placing the bore higher, the shooter’s line of sight is significantly less obstructed compared to most suppressors. Furthermore, the SilencerCo suppressor also offers a much easier pull from a holster, for those select few who carry suppressed handguns. Although suppressors are most often associated with handguns, some companies have taken suppressor technology to the next level. For instance, we can’t help but be impressed by the Salvo 12 shotgun suppressor from SilencerCo. While this isn’t the first of its kind, it is the first and only “commercially-viable, modular, and hearing safe shotgun silencer on the market” according to SilencerCo. The Salvo 12 is amazing because of its unparalleled versatility which allows it to operate with most 12 gauge shotguns (pump-action & semi-auto). Furthermore, the Salvo 12 is reported to function perfectly with nearly all commercially-available ammo. But what really gets us excited is that with four different configurations, the Salvo 12 is adjustable for all kinds of applications ranging from waterfowl to home-defense and everything in between. In fact, this suppressor might just be the ultimate hunting tool around thanks to its user-serviceable and lightweight design that allows shooters to fire without needing hearing protection. Don’t miss out on our feature articles on the Best Home Defense Shotguns, Shotgun Safety, & the Best Affordable Shotguns. Dead Air Armament is one of the most widely-accepted suppressor manufacturers on the market. 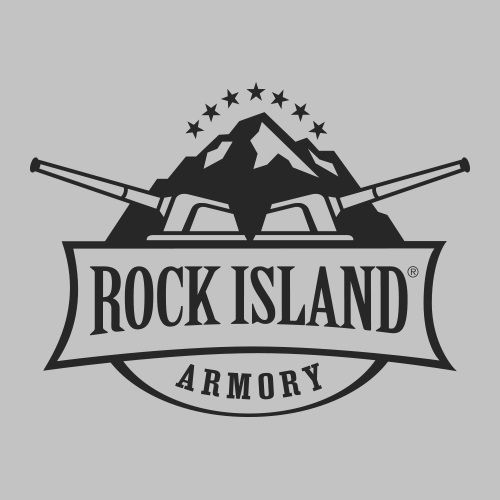 Thanks to their sweet selection of firearm suppressors, the rising company is known to be one of the best in the business. In fact, Dead Air made big news this year when they became one of the few businesses to tackle the AK, a gun which most suppressor makers tend to avoid. One of our favorite DAA products has got to be the Sandman rifle suppressor. Whatever your reason to suppress, you can appreciate the Sandman-S for its mere 6.8” length and less than 18 oz. weight. Although this may seem slightly heavier than your average rifle silencer, a few ounces can be attributed to their added internal Stellite baffles and quick-detach (QD) system. More importantly, the Sandman does a fantastic job at minimizing a rifle’s muzzle blast and should last for years thanks to their durable Cerakote finish. 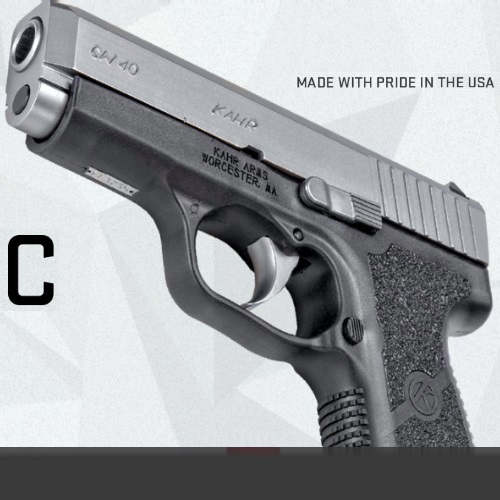 Sig Sauer is one of the most impressive gunmakers in the world and has been getting a lot more attention lately after winning the U.S. Military’s XM17 Modular Handgun System Competition (MHS). Another major accomplishment for Sig was becoming one of the more popular companies in the gun industry to begin producing suppressors. The German-American arms producer currently boasts a small, but impressive line of suppressors which cover a wide range of calibers. While the SRD22X is currently getting a lot of the attention, we can’t help but love the SRD762TI. This remarkable suppressor handles those big 7.62 rifles with ease due to its Grade 9 Titanium tube and heat-treated and shielded internal baffles. Plus, besides for their solid availability, these are some of the most affordable suppressors on the market. So we at Gunivore are huge fans of Daniel Defense so we couldn’t help but include their awesome DDWave Suppressor. Although they can be quite pricey, they are insanely advanced and effective. For starters, the up-and-coming company opted for the innovative 3D printing process to create their proprietary suppressor, giving it added strength and reliability. As a result, the DDWave features zero welding points, which are often the weakest part of any suppressor. Furthermore, we love how easy they are to use, thanks to their unique Acme Thread Quick-Clamping System and Quick Detach functions. Oh, and did we mention tool-free locking and unlocking? When you consider all of these factors, the $1,100 price tag doesn’t seem so crazy anymore. Additionally, Daniel Defense opted to use only the strongest materials, including Cerakote finishing, stainless steel, titanium, and Inconel, giving the DDWave unmatched durability. Even more, the American gunmaker gave their popular suppressor a reinforced blast chamber, enabling the DDWave to handle even the toughest fully-automatic firing jobs. At the end of the day, this is one of our favorite suppressors for hunting, largely in part for its sub-140 decibel output at the shooter’s ear. Besides for suppressors, check out our favorite choices for muzzle devices.